Today is Young Carers Awareness Day. The reason my blog is named 'Steph's Two Girls' is because I always wanted it to be about both of them; I knew the diagnosis would affect the whole family. OK so it may not have been the most creative or inspired name for the blog, and I may have silently cursed it a few times when it comes to social media and others not knowing what it's all about at a glance, but I'm still glad I named it that way. It hopefully serves to remind everyone that although autism does have to play a huge part in this family, our eldest is as much a part of that family as our youngest. 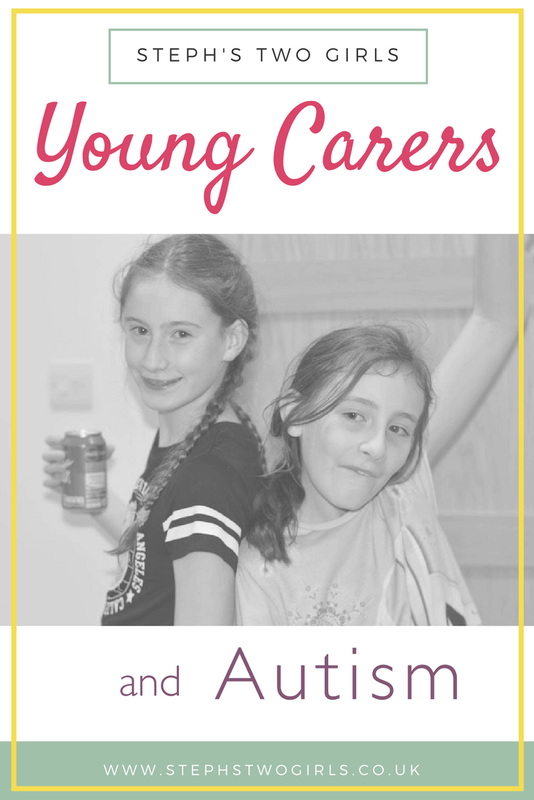 When people think of Young Carers I think they just narrow it down to those who have to help with medical tasks for sick parents or siblings. The reality is though, that living with a sibling with any kind of disability does make these children a carer. Their lives are different to those who just have neurotypical siblings. They can't be as carefree and think only of themselves; they often don't get to experience the easy family outings that others have. 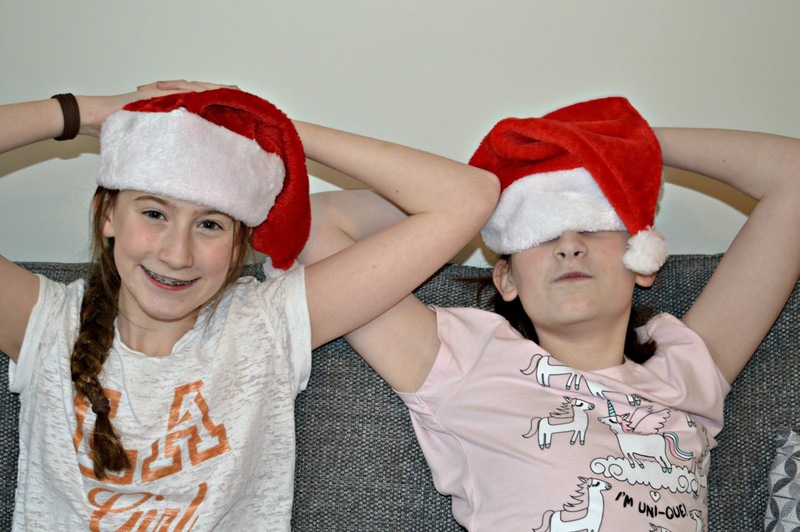 Our eldest girl is an amazing big sister and young carer. She might not have to do the obvious caring things, but every day she cares. Some of the ways she does this: she lets her younger sister always sit in the front of the car, she lets her always choose the music in the car, she lets her always win at games, she plays Minecraft with Sasha when Sasha wants that, even when she doesn't really feel like it, she tries to calm her down when she is getting stressed by bringing her things to help, or staying away - she knows the right thing to do at the right time. Every month I try to take a siblings photo and our eldest girl gently tries to persuade her autistic sister that it's a fun thing to do; she sits there patiently smiling while youngest messes about pulling faces. Eldest does this for me, because she knows how much I love those photos. She doesn't complain about not being able to go places, or about the fact that her younger sister has a later bedtime than her every night. She hasn't moaned at the fact that Sasha has been home with me all day every day for the past 6 months when she'd really like the opportunity to do that herself, for a week at least. She won't complain when she finds out that we've had to plan a holiday this year putting her sister's needs first (no flying due to extreme anxiety), she will just 'get it'. She understands. She's only 12. Our eldest has learnt to use all the Pathological Demand Avoidance strategies which we use, which is no mean feat - it's difficult enough for adults to understand and cope with. She’s a star. Here's a post I wrote back in 2016 about Autism and Siblings - cute photo alert!